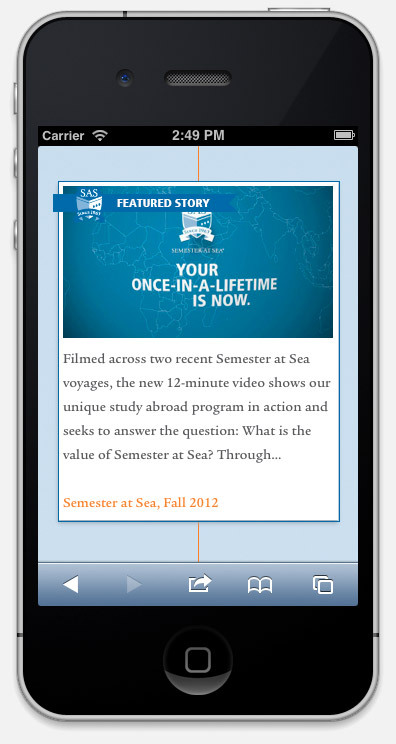 The Institute for Shipboard Education hired me to handle the front-end development and ExpressionEngine production of their new website celebrating the 50th anniversary of the Semester at Sea program. The website was conceptualized and designed by the team at the Institute for Shipboard Education. 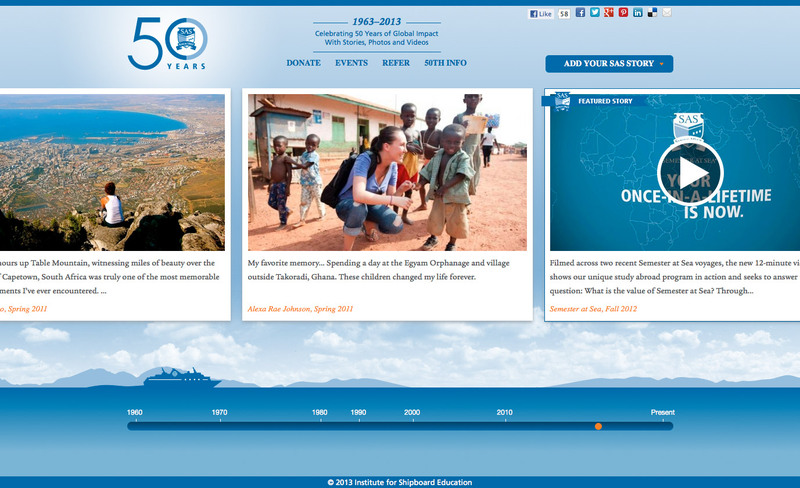 The site features an interactive timeline, populated with stories from program participants. Past participants can submit their stories, videos, and photos directly via the website. 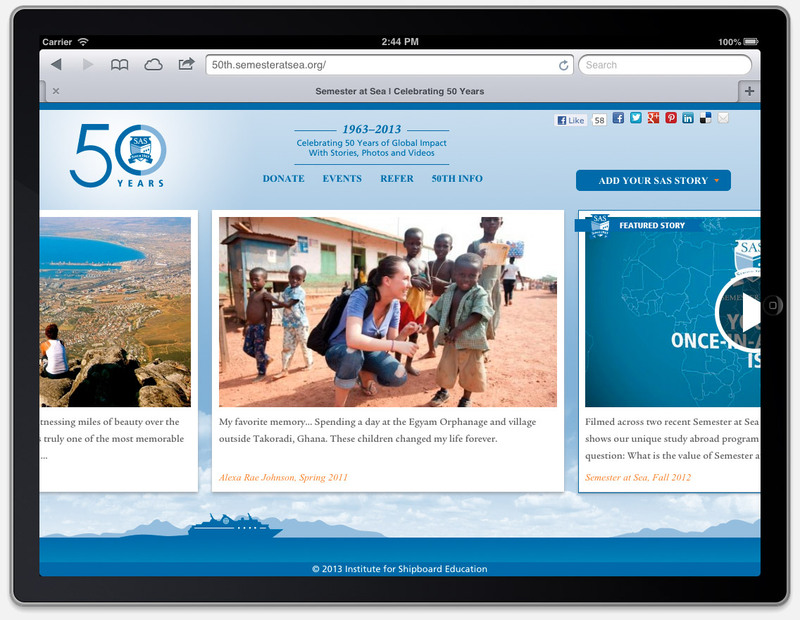 The website needed to adapt to multiple devices and uses a responsive design to account for various platforms.